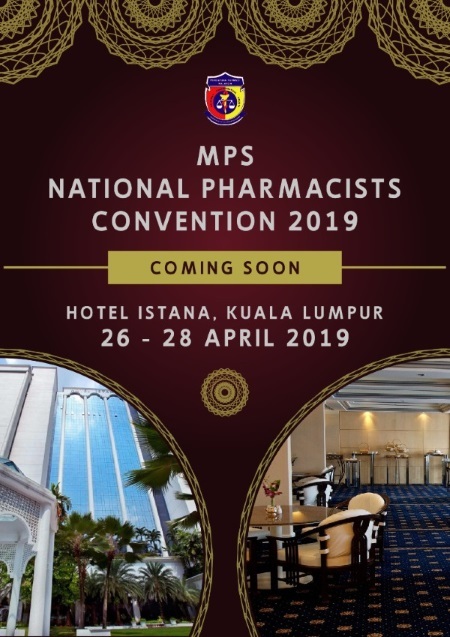 Please note also that you are now only require to accumulate a minimum of 20 CPD points for the year, in line with the decision of the National CPD Committee and endorsed by the Malaysian Pharmacy Board. 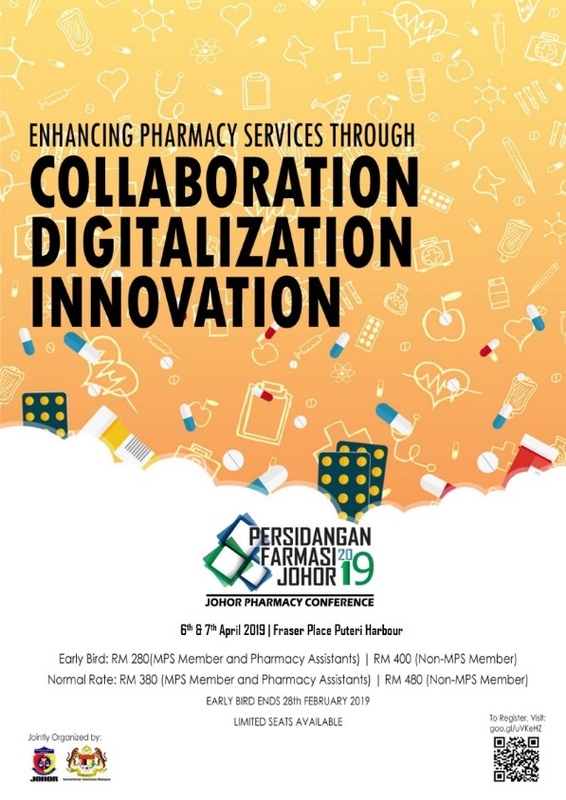 The Malaysian Pharmaceutical Society (Johor) and Jabatan Kesihatan Negeri Johor (JKNJ) will jointly organizE the Johor Pharmacy Conference 2019 (JPC 2019). This is the second collaboration of the working committee after World Pharmacist Day 2018 event. We hope to provide a platform for pharmacists from different sectors to gain insights from our speakers and share their knowledge and experiences to enhance pharmacy and healthcare services around the region. The JPC 2019 will be focusing on collaboration, digitalization and innovation in healthcare industry which can be essential for good clinical outcomes and better patient?s care. 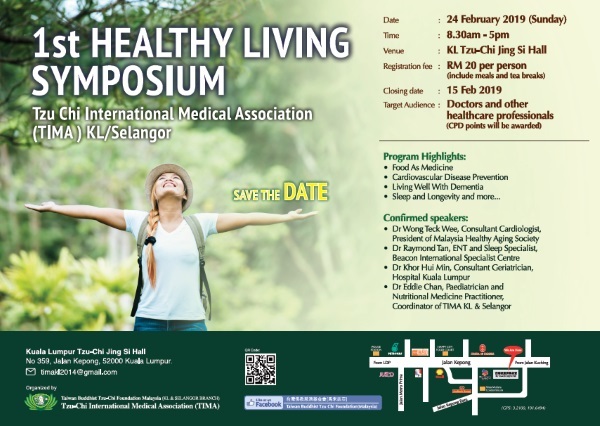 We look forward to welcome you at the Johor Pharmacy Conference 2019. Your participation is essential to the event success. Please do not hesitate to contact me or our team, Ms. Karen Chia at chiouhuahchia@gmail.com or Ms. Cyndi Pang at tserqi1988@gmail.com should you require further assistance or information. All members are reminded to renew their 2019 membership by payment of their membership fees as soon as possible. 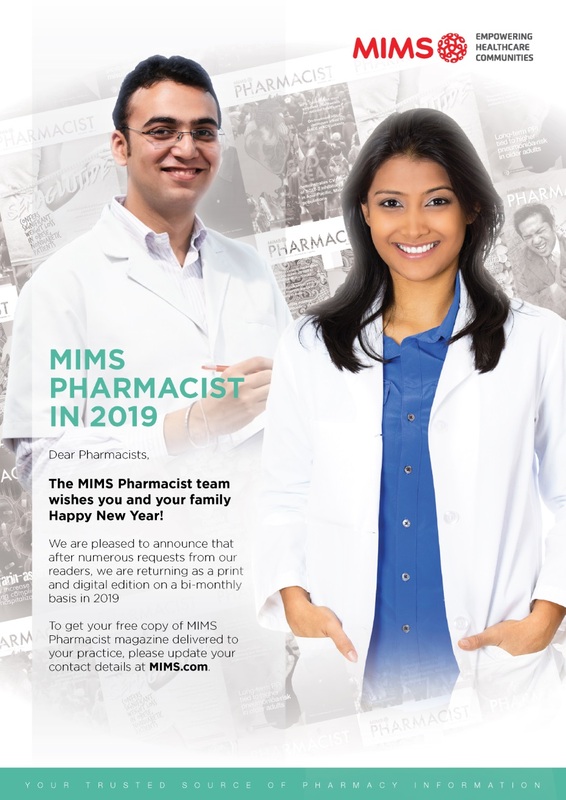 Non- members (all registered pharmacists, PRP, and post-graduate) are also encouraged to join as member as early in the year as possible. For your early renewal or early membership, once again Abbott is supporting this membership drive by providing a box of Surbex Zinc (30?s) to each member. The actual redemption procedure will be available by end of January but basically the gift will be sent directly to you after you have register with Abbott your full address. Life and Fellow member are also required to register themselves with Abbott for the delivery of the free gift. This redemption is only until May 2018 and while stock last. Note that stocks may be fully redeemed even before May so please renew or join early. This Community Pharmacy: Business Insurance, Financing & Strategy Survey is being conducted in tandem between the MPS Community Pharmacy Chapter and the Insurance Committee. The survey will be in 3 general parts - namely Insurance, Financing & Strategy. MPS hopes to get a good number responses for this survey in order to gauge the true needs of community pharmacists, pharmacy and community pharmacy owners.